In celebration of Firefall's open beta launch, the video team behind the game, Stage 5 TV, created a live-action trailer for the game. 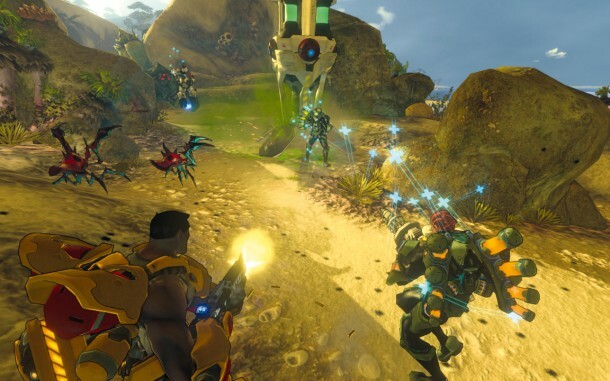 It offers a firsthand view into the story that shapes Firefall's world and a look at the leader of the Chosen invasion. You can catch the video at the bottom of this article. Finally, Red 5 Studios hosted a two day live-streaming event called Firefall Fest 2013 on Twitch TV. It featured e-game celebrities SeaNanners and Day. Also, starter packs are now available for beta players that feature exclusive items, progression boosts, and immediate access to battleframes.